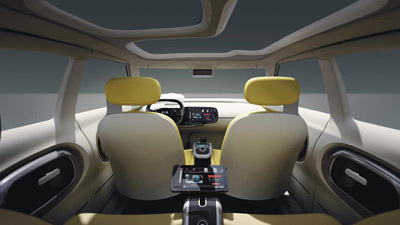 The Kia Naimo concept made its world debut at the 2011 Seoul Motor Show. 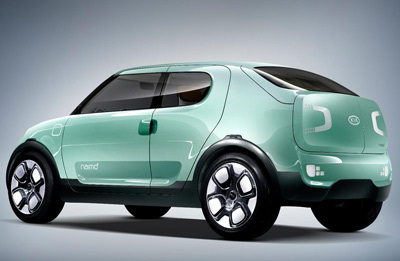 The Naimo is an all-electric compact utility vehicle with seating for four. The concept takes its name from the Korean word "Ne-mo" - pronounced 'Neh-mo', meaning 'square shape'. The concept somewhat lives up to its name, although there are plenty of curves throughout the design. The Naimo was developed by Kia's international design team in Seoul, and is characterized mainly by its simple lines and sturdy stance. 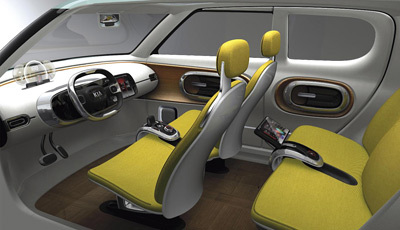 In order to keep the exterior design as simple and clutter free as possible, the designers have equipped the Naimo with high-pressure air jets instead of conventional windscreen wipers. 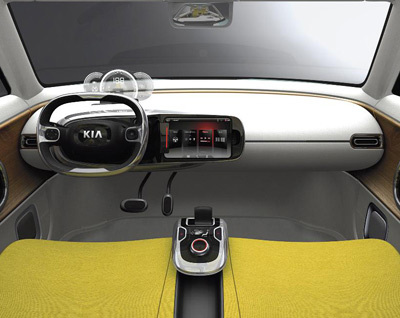 In addition the side mirrors have been replaced with tiny cameras embedded in the A-pillar. The Kia Naimo has no fixed B-pillars and rear-hinged rear doors to facilitate easy access to the cabin. A three-way split opening boot-lid, allows versatile access to the load bay. Power for the Kia Naimo concept comes from an all-electric drivetrain which consists of a Permanent Magnet Synchronous Motor putting out 109 hp (80 kW) and maximum torque of 280 Nm. The electricity is stored in a twin-pack 27 kWh Lithium Ion Polymer battery housed under the rear floor section. With this setup the Naimo can reach 93 mph (150km/h). The range is up to 124 miles (200km). Under the quick recharging cycle (50 kW) the Naimo's battery can be recharged to 80 percent of its capacity within 25 minutes. Under the normal cycle (3.3 kW), 100 percent power is attained after five and a half hours. 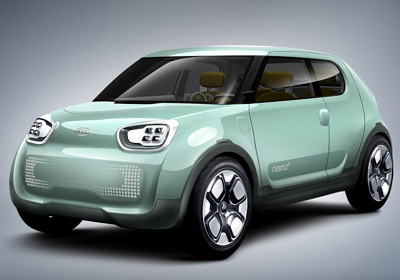 The Naimo will be used by Kia for extensive testing which will contribute to their future zero-emission production cars.